We are excited to announce the launch of City Insider, our latest open data powered application. With the City Insider you can truly understand what is happening in your neighborhood and community. The platform allows users to search by using maps, dates, addresses, neighborhoods or City Council District. Anyone can create a free account and save their searches to refer back to them or sign up to receive daily, weekly or monthly emails with updates about new incidents in their area. 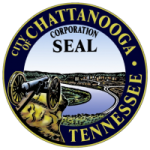 The City of Chattanooga is always looking for new and interesting ways to engage people with our open data program. One way we try to do this is by building applications that use our open data resources. Our city Budget app is a great example of this in action and we are excited to be adding another open data application! The application was built by our open data portal vendor, Socrata, to be a map heavy, user-friendly, mobile-ready application. Check out the below video to see some of the functionality.